Have you eaten yet? According to Pixar’s latest short film director, Domee Shi, that’s how you show love in Chinese culture. It’s the heart of of Bao, which bows this Friday in front of Pixar’s Incredibles 2. The film takes that message and expands on it, with love coming to a lonely mother and wife in the form of a baby dumpling. 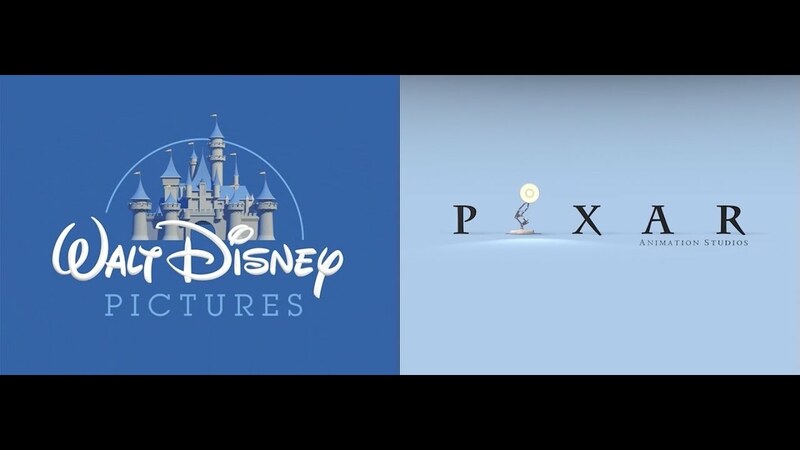 The film is your typical Pixar short film, usually silent, full of wonderful music, and delightful animation. The animation style here is key to the story, as it lends itself to some really cute, and really pertinent story moments. The story sees a lonely Chinese mother, with a marriage that’s moved to comfortable familiarity accidentally create a baby from a dumpling. As any child, she loves it and nurtures it, as the baby grows into the various stages of childhood, even the dreaded teenage years. The movie is full of symbolism, and will leave anyone misty eyed, but as a parent that is going through this exact same thing now, both with a son encroaching drinking age, and my youngest about to graduate high school…I was a blubbering mess. It’s not the first time Pixar has reduced me to tears, simply because I’m a sentimental old fool, and they are just that good (mostly). 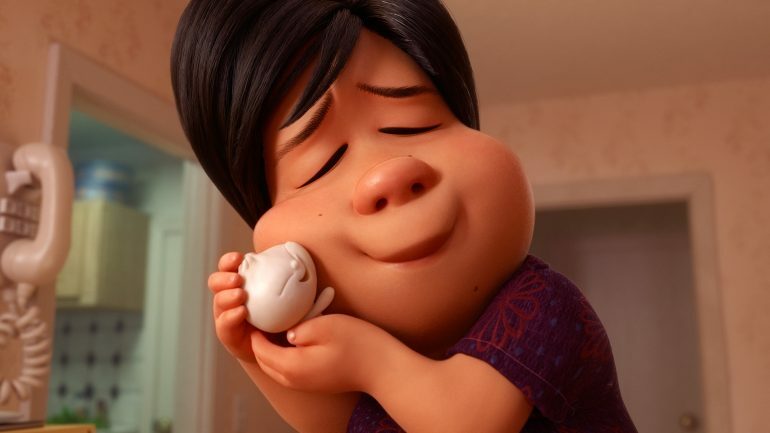 But Bao, I have never been close to leaving the theater because I was crying too hard, and that damn little dumpling had me almost openly sobbing to the point that I thought I needed to leave. If my daughter was there she’d probably look and say “Really? It’s a dumpling!”. But that’s the power of the story, and the way that it hits way too close to home. Bao is parenthood told in eight minutes. As a parent we raise our kids, and teach them the best we can. We see them go from little babies, to slobbering messes of toddlers, and then they become little people all their own. They go from being smaller versions of us, to bigger versions of us, and sometimes we see the best…but as a father, I always see the worst as my kids pick up my habits and push towards the same mistakes I made. You try your best to keep them from making those mistakes, but like anything with kids, the more you push the harder they pull. That’s also very key to a scene in Bao. Ultimately, we have to let them make their own decisions, and take their own paths, and it’s very, very hard to do. But they have to do it, and become the adults we always knew they would be. And that’s the moment we’ve always dreaded, because despite everything you ever go through as your kids grow up, in the end, we just wish they would stay little dumplings forever. 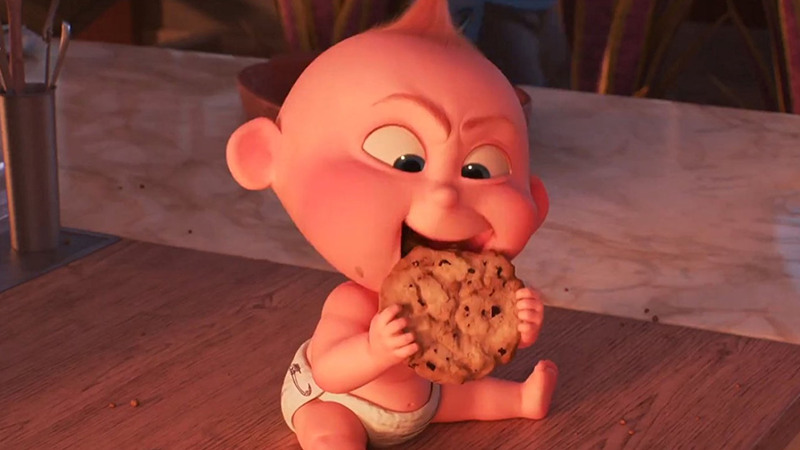 Bao premieres in front of Incredibles 2 on June 15th. Bring your tissues. 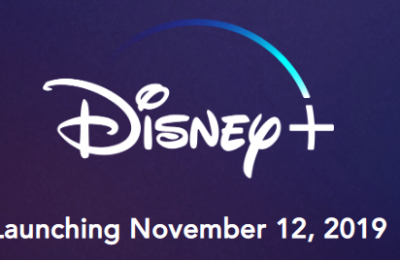 Stay tuned for more from Disney and Pixar, and be sure to get social with us on Facebook and follow along with us on Twitter @BehindThrills for the latest updates!